„No taxation without representation.” This key demand of the seceding colonists during the American Revolution in 1775/76 is not cited in support of the Tea Party (the 21st century ultra-conservarvative-libertarian US political movement, not necessarily the 1773 direct action against the tea tax autocratically levied by the Kingdom of Great Britain on the American colonies), but to question the criteria granting voting rights to inhabitants of a given polity, as not only citizens but permanent residents are affected by parliamentarians’ decisions. Some countries offer varying degrees of suffrage for resident aliens – voting rights in local elections and/or on single-issue referanda (in many countries, including a handful of communities in the US) all the way to full sub-national and national for permanent residents in New Zealand and Uruguay (after 15 years of permanent residency). In Berlin, elections are being held on September 18. 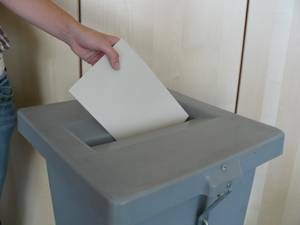 Only German citizens can vote in the city-state elections; the local district elections allow residents who are EU-nationals to cast ballots as part of a reciprocal EU-wide foreigner suffrage agreement. Voting is both a privilege and a right. It should be exercised by citizens and those polis-dwellers who feel committment to their place of abode – longterm residency, interest in contributing to the community if only by going to the ballot box and yes, payment of taxes. Right to vote also can help to foster integration, as it helps immigrants to bond with the “host” country by instilling a sense of participation. The basis of suffrage upon nationality/citizenship came about with the consolidation of the nation-state in the 19th and 20th centuries; before that – in the then minority of countries where voting rights even existed – suffrage was based upon residency, property ownership or membership of a certain class deemed as “citizens”. Universal suffrage based upon citizenship (which, depending on the country, is based upon blood, birthplace or can be earned under certain conditions) seemed like the fairest and most inclusive form at the time – especially when women began to get the vote starting in the late 19th century (1893 in New Zealand) and as late as 1971 in Switzerland (the canton of Appenzell finally granted women suffrage on local matters in 1991) and 1984 in Liechtenstein. Furthermore, citizen-based suffrage was/is a constitutive element of the nation-state, at least in republics and constitutional monarchies. However, with the prospect of a post-national age, it might be time to rethink suffrage criteria. Maybe, analogous to the concept of liquid democracy (which has been somewhat reduced to a criticism of its techno-geek aspects without really discussing the idea of making the barrier between representative and direct democracy more porous and making decisions more issue-based and less partisan), would it be worth considering liquid citizenship? For the upcoming Berlin elections, the initiative Jede Stimme 2011 (Every Vote 2011) is challenging the concept of citizenship-based suffrage by conducting symbolic elections in which non-German permanent residents can vote for the city-state parliament und thus, indirectly, for the city’s governing mayor. From August 29 to September 4, non- Germans can go to one of 72 polling places in nine districts to cast their votes. The results will be announced starting at 5:30 p.m. on September 4. The project is accompanied by comprehensive educational material about the parties, candidates and programs as well as about the Berlin and German political system. Jede Stimme 2011 will also use the opportunity of the symbolic election to petition the Berlin parliament for foreigners’ suffrage. For more information about the project (in 56 languages) and location of polling places, see the Jede Stimme 2011 website.